According to JUVE https://www.juve.de/handbuch/at/2019/eintrag/1475, WMWP is one of the most important market players in Carinthia. 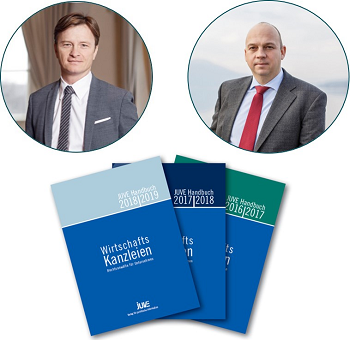 In particular, the know-how of the founding partners Martin Mutz and Martin Wiedenbauer in the areas of M&A, venture capital financing and real estate law is highlighted. JUVE describes as sensational the advice given to Kärntner Beteiligungsverwaltung in the politically controversial partial privatisation of Klagenfurt Airport, which Martin Wiedenbauer and his team had been dealing with since the beginning of 2017. JUVE further states that WMWP, as part of Allianz act legal and thus one of 9 leading continental European law firms, is also entrusted with cross-border mandates in cooperation with act legal – founding partner AC Tischendorf in Germany.